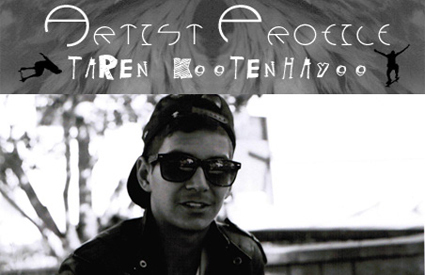 Skateboarder Taren Kootenhayoo explores all aspects of media from acting to filmmaking, photography being his highlight. Check out some of Taren’s photography. Matthew Wood also known as DJ Creeasian holds it down in Ed city (Edmonton), known for breakdancing, droppin’ beats, and beat boxing. Although Edmonton is home for Creeasian, he has had many opportunities to travel nationally and internationally and is currently working out east.. He also has been working with youth for the past eleven years and strongly believes in empowerment through music and dance. 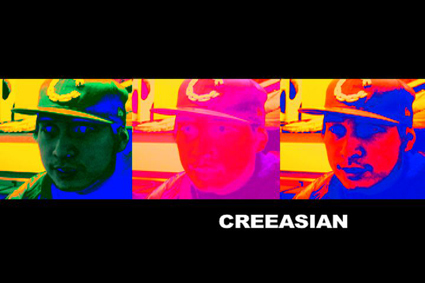 Check out Redwire Media TV’s original video on Creeasian!!! Images from the 21st annual Missing Women’s Memorial March. The public hearings into the Northern Gateway Pipeline continue and appear to mark the beginning of a new political era for Canada. 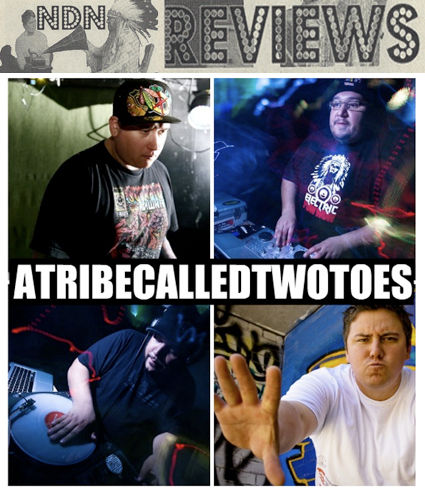 PuSh Festival 2012 presents the Aboriginal Performance Series, kicking off tomorrow with BeatNation live, showcasing some of the west coasts finest! 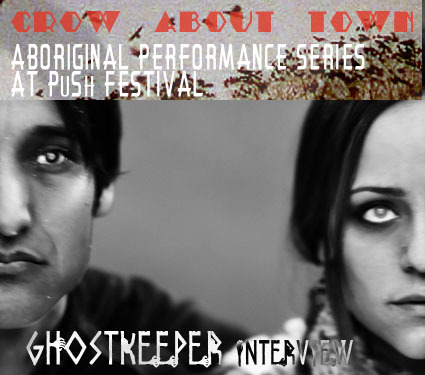 Redwire interviews Ghostkeeper’s Sarah Houle. 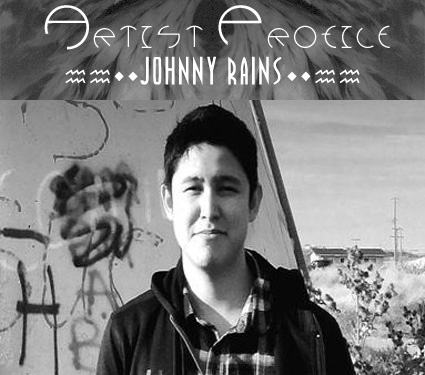 Johnny Rains is a young rocker from the Blood Reserve. He is a singer, song writer, lead guitarist, and founder of ‘The Johnny Rains Band’. Read more about Johnny Rains below and don’t forget to rock on! 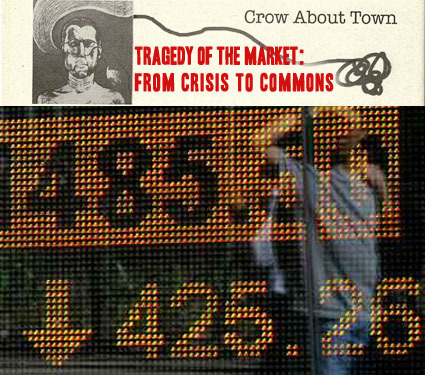 Community gathering Tragedy of the Market: from Crisis to Commons took place in Burnaby, Coast Salish Territories last weekend, and featured many Indigenous participants speaking on the various panels. 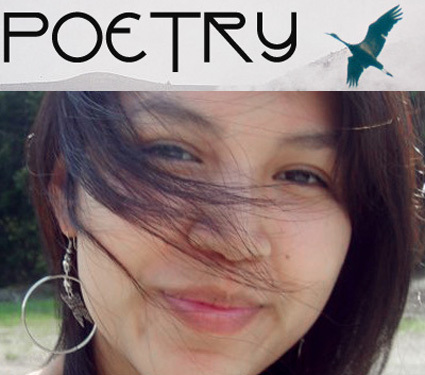 A moving poem, by Dane Zaa/Cree youth Helen Knott, written in response to all of the missing and murdered women in Canada. Fresh out of fashion school Heather Willians and Nuya Designs just begun they’re fashionable journey. Stay tuned to Redwire for new future Nuya Designs. 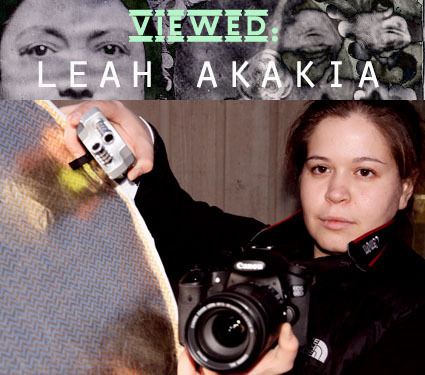 Leah Akakia Hill is from Kitwanga, Gitxsan Nation. 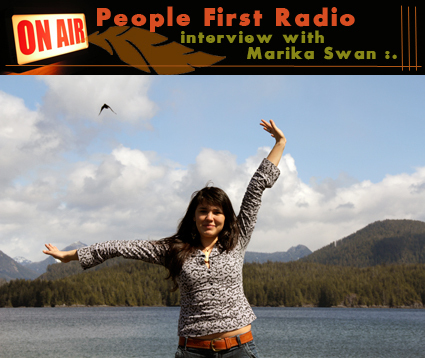 She moved to Vancouver to pursue a career in film making, Check out her films! 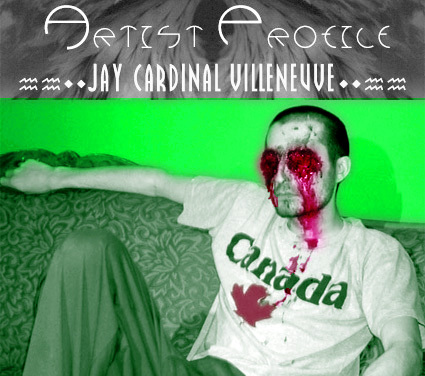 Filmmaker Jay Cardinal Villeneuve pushes the envelope with his candid and fearless body of work! 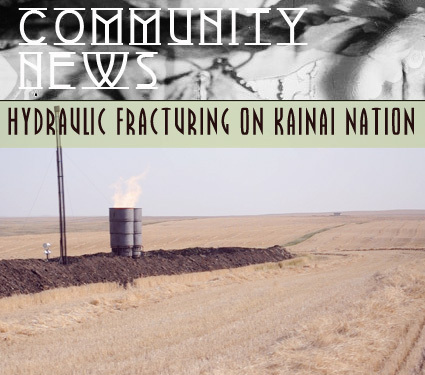 Elle-Maija Tailfeathers, filmmaker and activist, discusses hydraulic fracturing deal with Murphy Oil on Kainai Nation, the largest reserve in Canada, posing serious threat to the environment and alarming health risks. 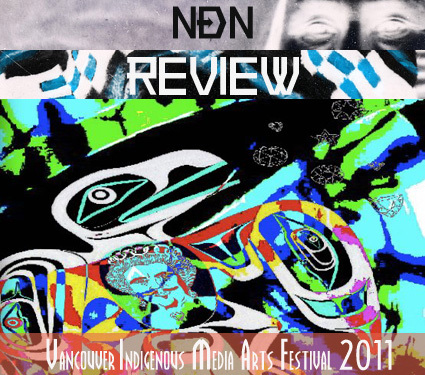 In case you missed the inaugural Vancouver Indigenous Media Arts Festival, Redwire was in the house. Check out our original video and review and be sure to check out VIMAF next year! 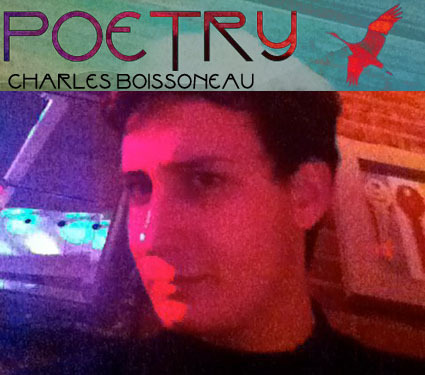 A wonderful collection of poems by young renaissance man Charles Boissoneau from the Garden River First Nation. 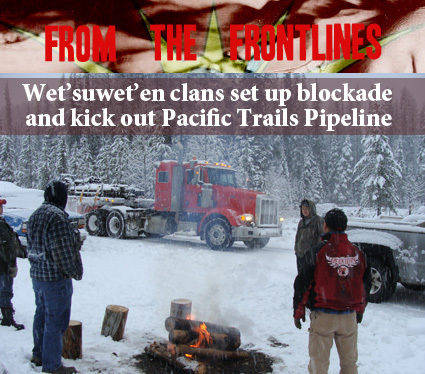 When Dini Ze’ Toghestiy of the Likhts’amisyu clan and Dini Ze’ Kloum Klun of the Unist’ot’en clan heard word that Pacific Trails Pipeline had started to bring drilling equipment into their traditional territories without proper consultation, they immediately organized a blockade near Gosnell River. 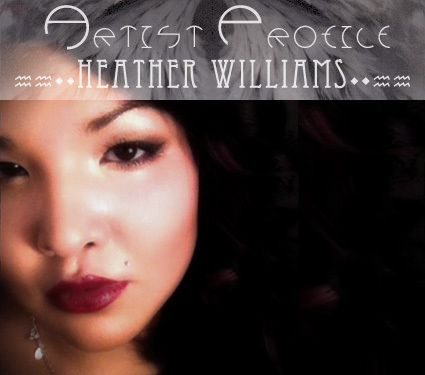 Check out hardworking Cree singer/songwriter Niska! Almost a month has passed since the Missing Women’s public inquiry began. On a severely imbalanced stage set by the government of British Columbia we see the slow process of truth letting, yet it is painfully clear that there is a great void where a group of indispensable voices must be heard, yet have been systematically silenced. Report back from the Indigenous Assembly against Mining and Pipelines where community members are gathering knowledge, strategizing, sharing, and expressing their truths. 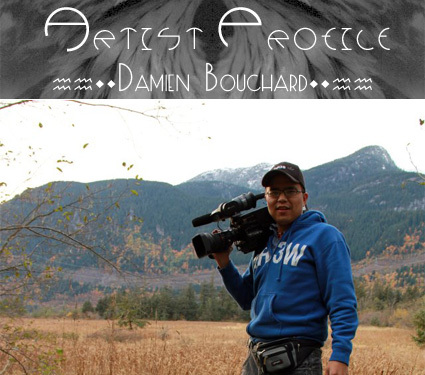 Damien Bouchard is an Anishinabe film making Native from North Western Ontario, check out his photography and films! 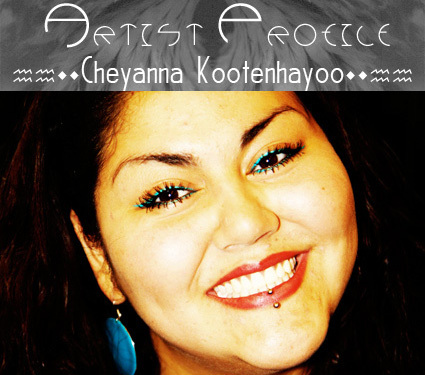 Who is Cheyanna J. V. Kootenhayoo? What happens when you give youth living in a community rife with racism the means to create their own documentary based on a historic landmark with a controversial history? 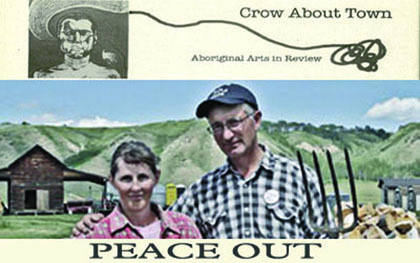 The Squaw Hall Project is the unexpectedly profound and uplifting result of this undertaking. 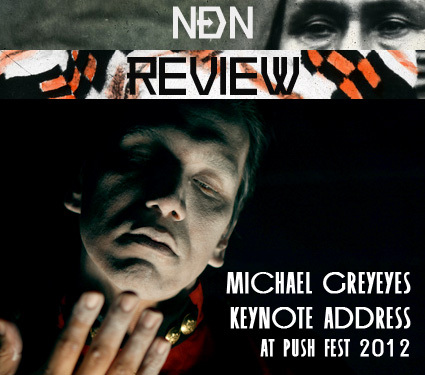 A few poems by Nlaka’pamux writer/vagabond Alex White. This guy’s like the Indian Bukowski! 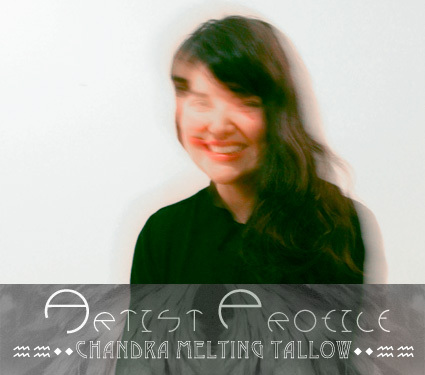 Introducing our new arts outreach design coordinator Chandra Melting Tallow! Earlier this month a press release surfaced indicating the discovery of the European strain of infectious salmon anemia in wild sockeye smolts near Rivers Inlet on BC’s central coast. 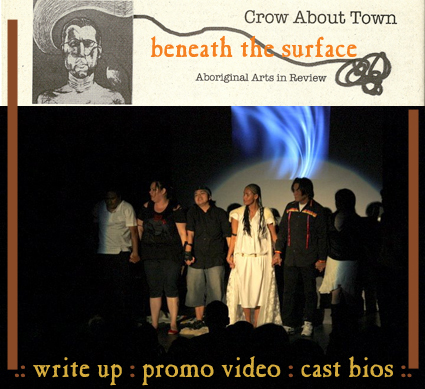 Redwire sits down with first nations actors Brandy McCullum and Sundown Stieger to talk about their performance in the interactive theatre play ‘Us and Them’. 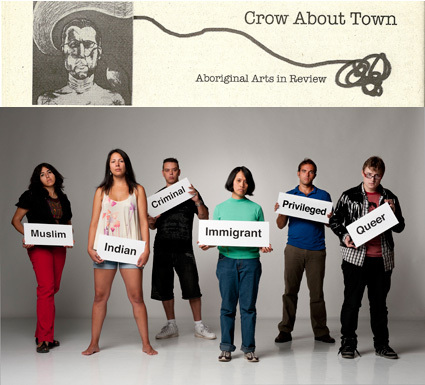 They tell us how they can relate to their characters in the play, as well as many other First Nations people living in concrete jungles. 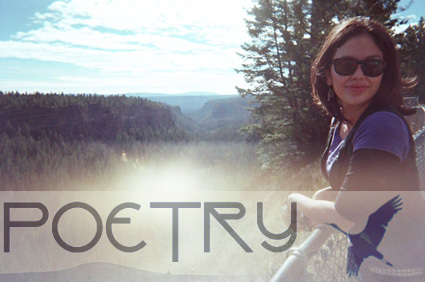 Some moving poetry that tackles emotional subject matter by Danya Peters. 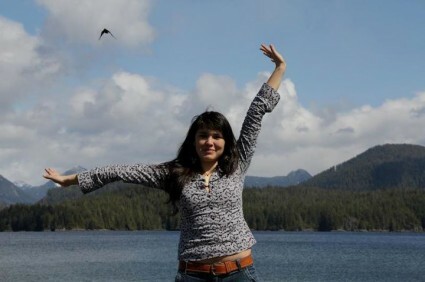 Danya a member of the Chawathil First Nation comes from Nle’kepmx and Sto:lo ancestry. 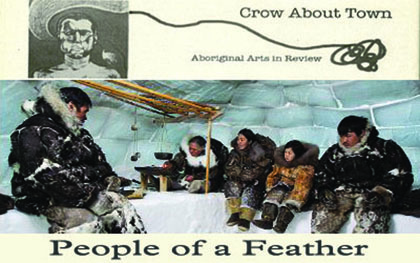 “People of a Feather”, by scientist turned filmmaker Joel Heath, is a mesmerizing documentary about a Sanikiluaq community’s struggle with the effects of hydroelectric projects on the Hudson Bay ecosystem. This documentary by Charles Wilkinson deals with the daunting topic of human energy consumption; and, in particular, the impacts of resource development in Northeastern BC. Red Bull fueled mania….from coast to coast! 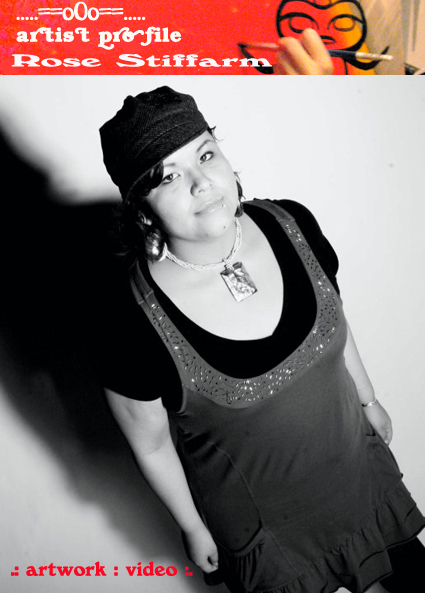 Rose Stiffarm is a young multi-disciplinary artists who hails from the Siksika Blackfoot, Tsartlip, Cowichan, Chippewa Cree, Gros Ventre and Assinibone Sioux First Nations. 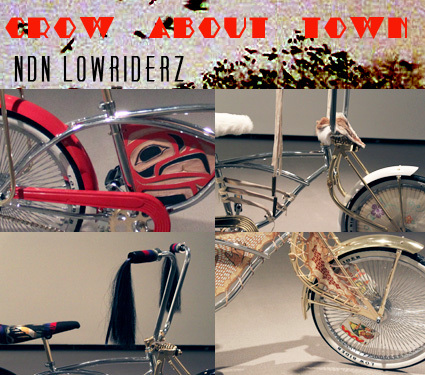 A celebration of Native youth talent in the Lower Mainland. 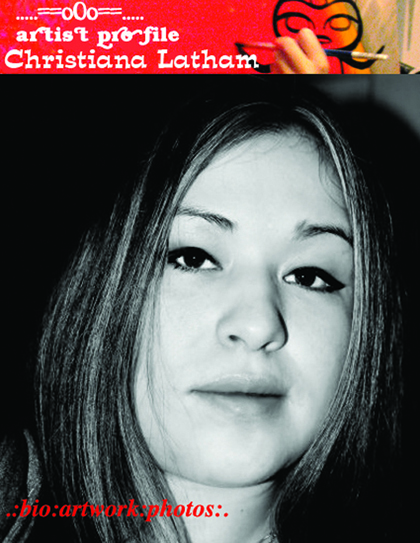 Christiana Latham is a talented multi-media artist from the Gwich’in nation. Her digital artwork really stands out with the use of bold, contrasting colors. 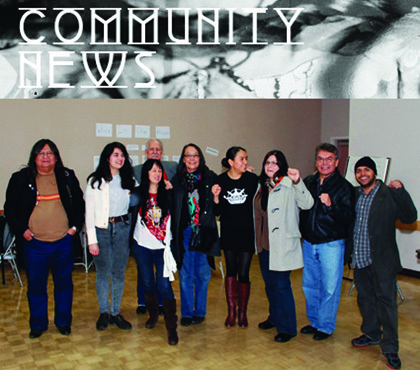 This week is KAYA’s Songweavers Studio Hip Hop Week 2011, a series of educational workshops and performance for Native youth in the Lower Mainland. 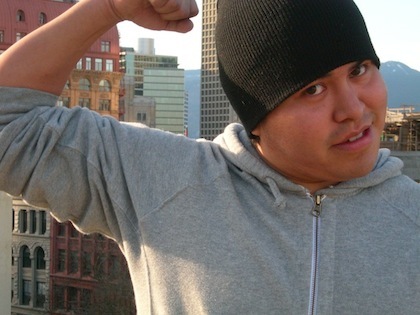 Survival, Strength, Sisterhood: Power of Women in the Downtown Eastside from Alejandro Zuluaga on Vimeo. 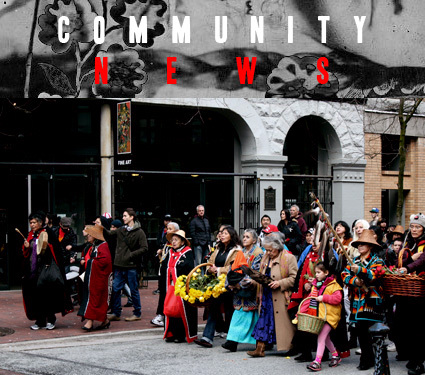 “Survival, Strength, Sisterhood: Power of Women in the Downtown Eastside” is a short film that documents the 20 year history of the annual women’s memorial march for missing and murdered women in Vancouver, Coast Salish Territories. 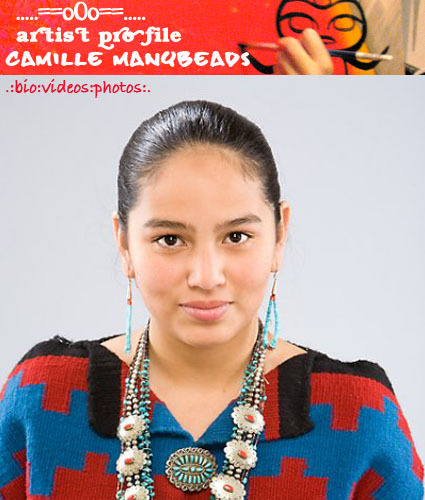 Camille Manybeads is an amazing young film maker from the Navajo Nation. 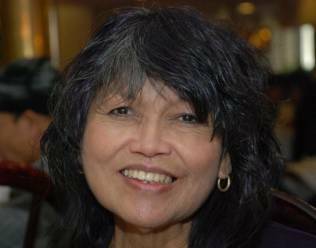 She made the award winning film “In the Footsteps of Yellow Woman” when she was 13 years old. Camille’s hard work and dedication is truly inspirational! 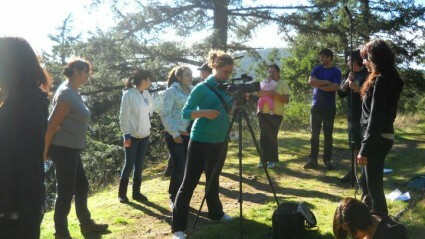 “Aboriginal Youth Speaking from the Heart”, “Shapeshifter” and “Green 4 Green” 3 more of the awesome videos from this year’s Aboriginal Intensive Program at the Gulf Island’s Film and Television School. 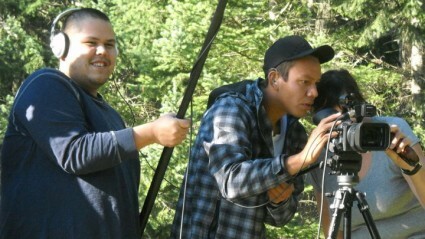 “The Forgotten”, “Gossip Island” and “Traditional Food” 3 great films from this year’s Aboriginal Intensive Program at the Gulf Island’s Film and Television School. 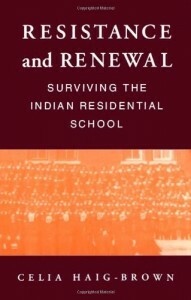 “Resistance and Renewal Surviving the Indian Residential School” is the most in-depth look into the day to day life of students who attended the Kamloops Indian Residential School that’s ever been compiled. The majority of information in the book was compiled from interviews with thirteen elders who attended the school between 1907-1967. I appreciate that Celia proceeded about this book in a manner sensitive to the people involved, being sure to consult them and seek their approval throughout the process. 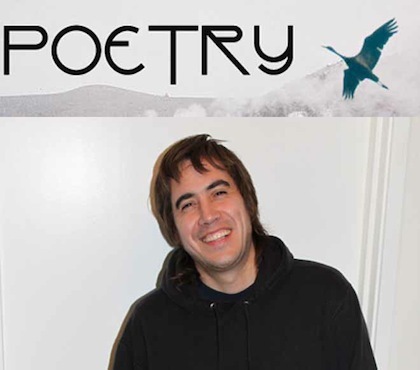 I’m proud to present of beautiful collection of poems by Jessie Mackenzie from Yellowknife’s Dene First Nation. Jessie’s poetry is powerful and capable of evoking a strong emotional response, quite a feat considering this is her first time submitting her work to anyone! 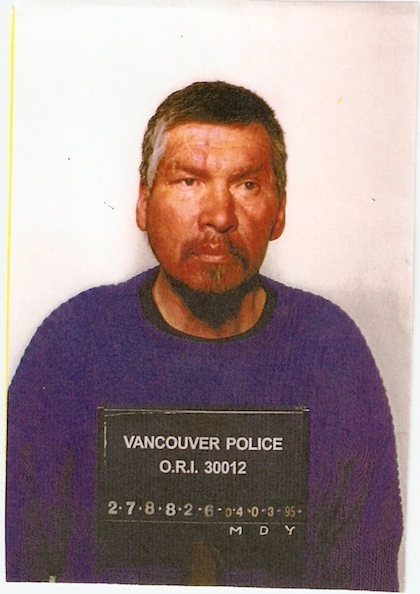 Frank Paul, a 48-year-old Mi’kmaq man, was released from police custody and left limp in a Vancouver alley where he later died from hypothermia. It’s sad to say that this type of story is all too familiar. 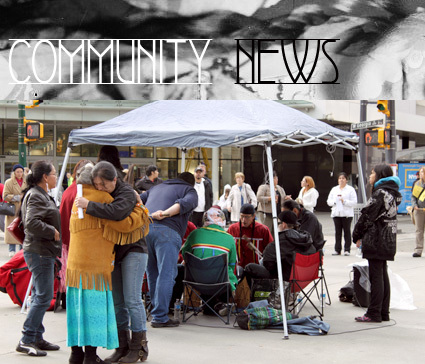 Community members have been gathering outside the supreme courts in downtown Vancouver to show support to all of the Aboriginal people who have died in custody as the public inquiry into his death continues. 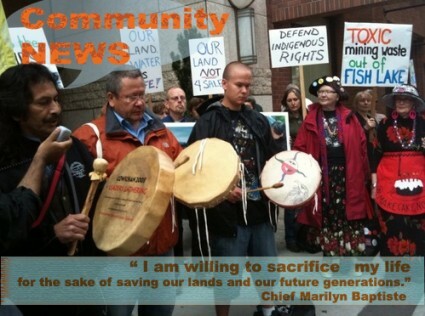 Say No to the Enbridge Pipeline! 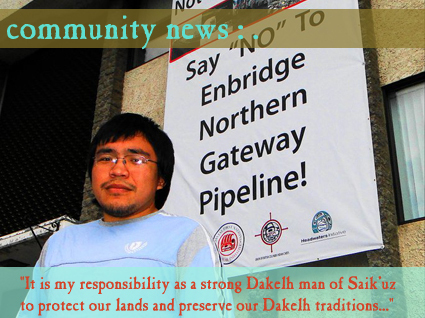 Adam Thomas, a Dakelh activist, has prepared a well educated and personal article about the proposed Enbridge pipeline in northern BC. Adam is from one of the many First Nation’s communities that stand to be directly impacted if the pipeline is to go through. What is Rebecca Belmore “WORTH”? 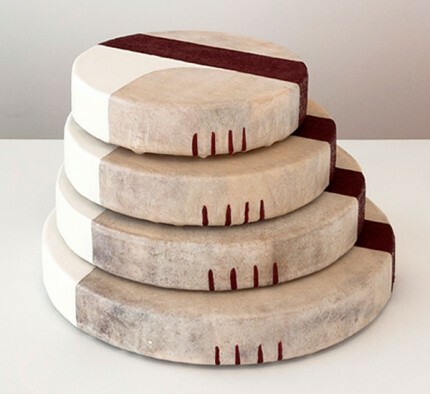 Prominent Anishinabe artist Rebecca Belmore is being sued by Pari Nadimi Gallery. The young man who brought us “My Gramma is Oblivious” is also a talented photographer and computer based artist. He’s got his own youtube channel and he’s on his way to being internet famous! The federal governments decision regarding Taseko Mines “Prosperity” copper-gold mine proposal is expected before the end of the month. Introducing the man with a plan who will managing this website. We are starting up again after a long hibernation and are gearing up to host a variety of community video, radio and art based projects. Interested in posting your work? This is the person to talk to. When I was a little girl, I spent time with my Kokum (Grandma in Cree) in a tepee. 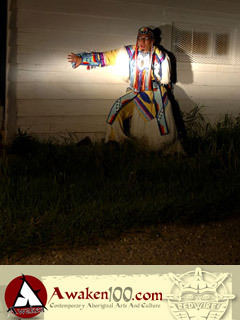 It was powwow time, and the small reserve that my family is from, was in an uproar over the upcoming gathering. I remember as we got ready to head out into the deep prairies, Kokum got out an old blue suitcase that never closed properly. I was about to put my clothes in the suitcase, when she stopped me. Kokum believed that the important things went into suitcases, and fashion was never as important to Kokum as good food was. This would be a common theme in my Kokum’s packing style. When we took a train from the prairies to the mountains, we packed everything we had into garbage bags, and held the food in the suitcases. 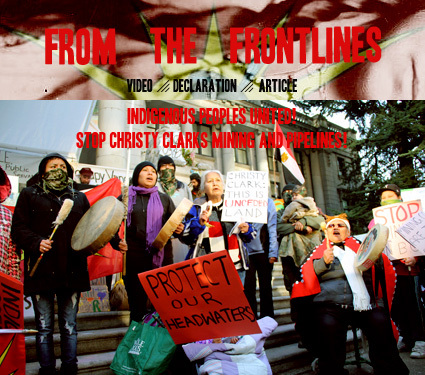 When the G8/G20 comes to Canada in June let’s tell the world the real story about Canada’s record on Indigenous rights: a continued policy that aims to terminate Indian Peoples by removing our land and resource base and denying us the right to self-determination, under the power of the Indian Act and the Department of Indian Affairs. Canada is the only country still opposing the UN Declaration on the Rights of Indigenous Peoples; the other three countries opposed to it have changed their vote or are reconsidering. 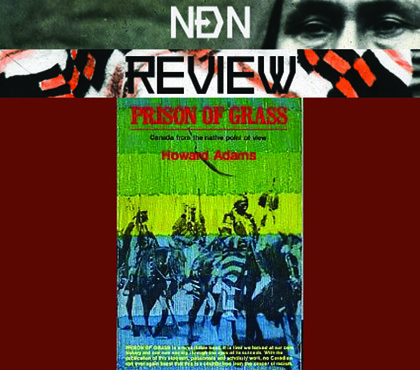 Canada continues to criminalize Indigenous activists who stand up for Aboriginal and treaty rights - even though these rights have been affirmed by the Canadian constitution and the United Nations Declaration on the Rights of Indigenous Peoples. Canada’s policies of dispossession and control continue to create extreme poverty and social distress for Indigenous Nations across Canada. Finally, Canada and the provinces have done nothing to investigate and stop the disappearance and murder of hundreds of Aboriginal women across the country. That is the record on Indigenous rights that lies behind the show of Aboriginal culture that Canada put on at the Olympics, and it is time the whole world came to know it. 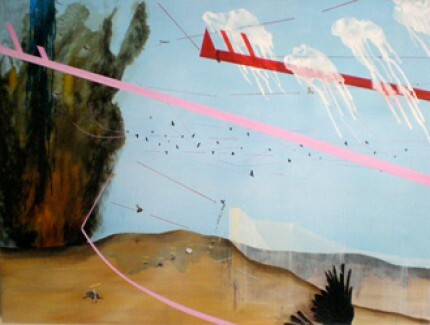 Grunt, Or and Equinox Galleries are currently hosting works by prominent Native artists. DOXA kicks things off tonight with their opening party at Harrison Galleries. 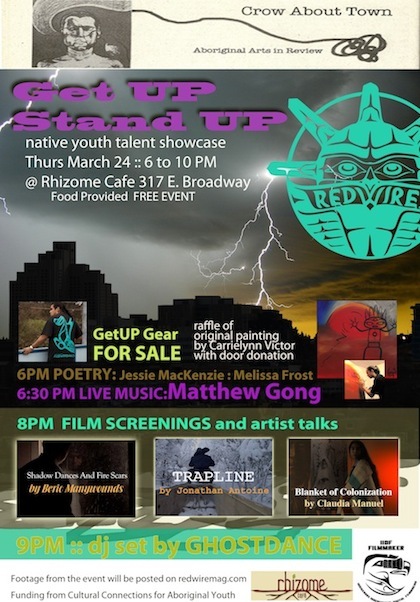 Redwire is a community partner with “The Healing Lens” and “Six Miles Deep” and will be in attendance at the screening for both films. 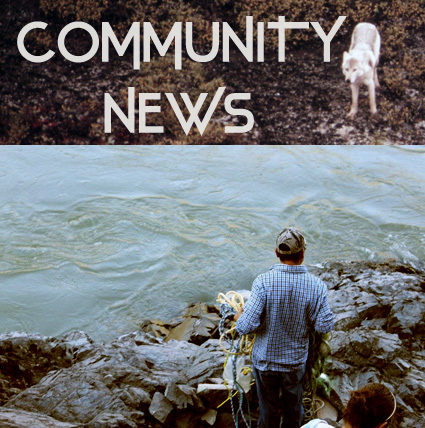 The Provincial Government has approved phase 3 in it’s plan to build the Site C dam on the Peace River in North Eastern BC, despite the overwhelming public outcry. The local Chiefs boycott of the Premier’s recent “invitation only” announcement of the phase 3 approval is a clear indication of how much local support the project is receiving. Chief Roland Willson of the West Moberly First Nations has already decided to take legal action as it seems to be the only way to be heard by our Provincial Government. 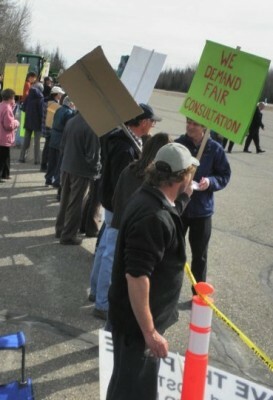 If not stopped this project will have a devastating impact on the Peace River Valley. Not only will there be a loss of prime farmland but thousands of years of Native history will be gone forever with the flooding of this vast tract of land. This video was made from a song I’ve been thinking about for a couple years called Boom Crash Bang. 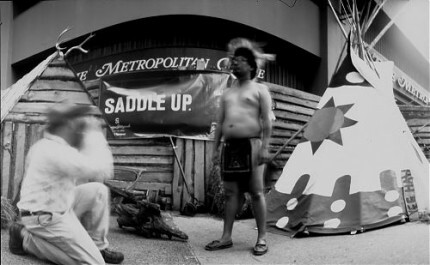 Glad the 2010 freak show is over, Bring on Indigenous events for us and by us! Witnessing the 2010 Winter Olympic party occupy our part of the world for the past 2 weeks was disturbing to say the least. Competitive athleticism of the best is a great thing for any human society, but not with all of the corporate strings attached and deep-rooted symbols of oppression to go along with it. The Olympics is a propaganda machine that uses a pretty face to cover up ugly realities. Things like an increasing police state, erosion of mountains for yuppie recreation, drunken festivals, increased pollution from overpopulation of tourists and motorists, increases in diseases, homelessness, crime and drug use rates. What are you doing next fall? This for all the elders who we told how much they were appreciated; and all the elders who we didn’t remind this week; or not enough. This is for all the elders who bundled up, watching young People from their community or their local Friendship Center with sticks and skates, play Friday night instead of hearing about it “on The Rez Telegraph” the following morning, so that when the kids asked, “Did you see my goal?” or “Did you see my save?”, they could reply, “Of course, I wouldn’t have missed it for the world,” and mean it. 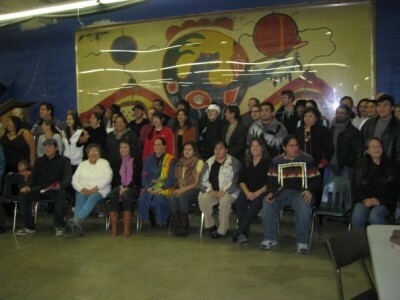 Also, this is for the elders who couldn’t make it; but kept them all in their thoughts. I have a Belief, Metaphor? 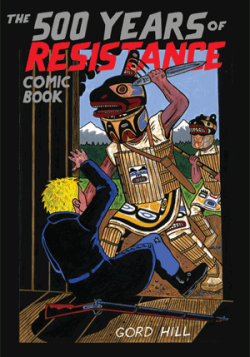 The Olympic Resistance Network (ORN) is based in Vancouver, Coast Salish Territories and exists as a space to coordinate anti-2010 Olympics efforts. In doing so, we act in solidarity with other communities across the province – particularly Indigenous communities who have been defending their land even before the onslaught of the Olympics. 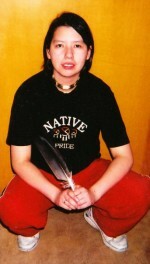 My name is Amber Simpson, I was born in Winnipeg, Manitoba and raised on the Vancouver Eastside. 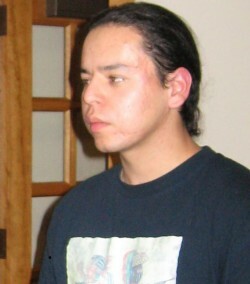 I am half Cree (Pelican Rapids, Manitoba) and half Ojibway from the Salteaux Nation (Mallard, Manitoba). 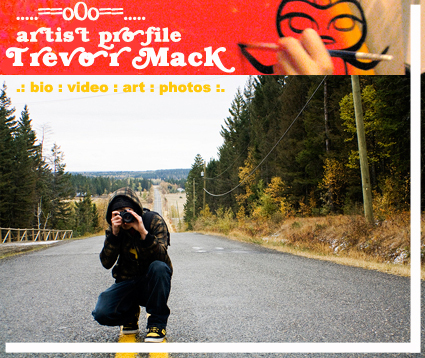 I am a student in the Digital Graphic Design course at Vancouver Community College Downtown Campus. Not to be too negative about the Olympics but with all the aboriginal themes that are being put up for the events, I am a bit suspect. Why NOW do they show pride in the fact that we are a valuable part of the Canadian culture? This is an official notice that the Olympic Games are illegally occupying and policing un-surrendered St’at’imc Native Land. Proper consultation has never taken place between the invaders, the International Olympic Committee and the people of our communities. As long as there is destruction on our traditional land, we will confront all requests to invest in or develop on our Mother Earth. All land is sacred. Our territory runs far and deep into the mountains here and beyond. 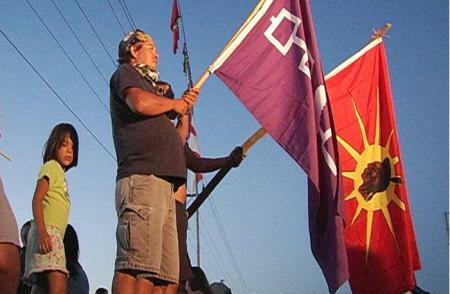 It does not stop at the borders of the reservations created by the racist Canadian and American systems. We at Redwire would like to offer our prayers for Vera Manuel and her family. Vera was featured on Redwire’s first spoken word CD, ” Our Voice is Our Weapon, Our Bullets the Truth.” We honour this amazing woman, her strength inspired us with her reading on that CD, may her words and her voice continue to inspire many generations. Thank you Vera for all you offered this world, for your commitment to justice and your inspiration for change. On behalf of Halfmoon Studios, Down Town East Side Center For The Arts and Coghlan Arts we would like to invite you and your family to partake in wonderful celebration of arts , culture , ceremony and history . Look forward to seeing you all here. 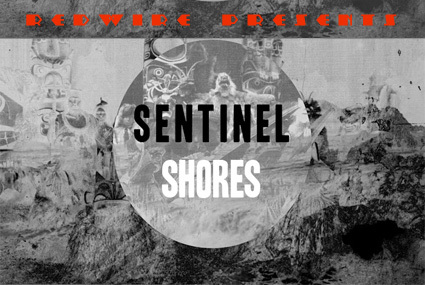 Matriarch and elder Ilse Schweder Bruderer Clements joins with her daughters and grandchildren to tell their stories and explore the consequences of story and historical manipulation and exploitation, with particular focus on the stories of Farley Mowat as they pertain to them. This is about setting the record straight in art and history. The Native Women’s Association of Canada (NWAC) has confirmed that there are over 500 Indigenous women who are missing or who have been murdered in Canada over the past 30 to 40 years. 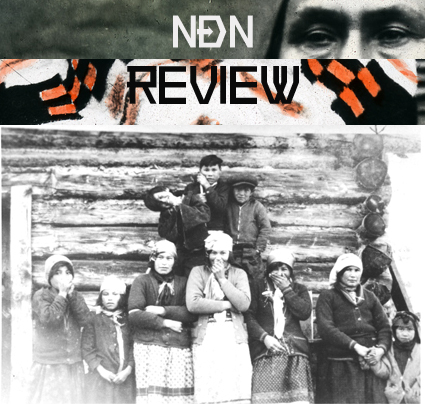 The disappearances and deaths of Indigenous women have received very little attention compared to their white counterparts, as well as inaction from the police, media, public, and government. This has led to considerable impunity of the state and perpetrators. In particular, Vancouver’s Downtown Eastside (DTES) is an area that is known for an extremely high number of Indigenous women who have experienced violence. It is also one of Canada’s most impoverished neighbourhoods. Vancouver has been at the forefront of organizing annual memorial marches every February 14 to honour women who are missing or have been murdered from the DTES. Although the Vancouver march is meant to acknowledge all women, Indigenous women are overrepresented in the DTES, and as a group that experiences violence. 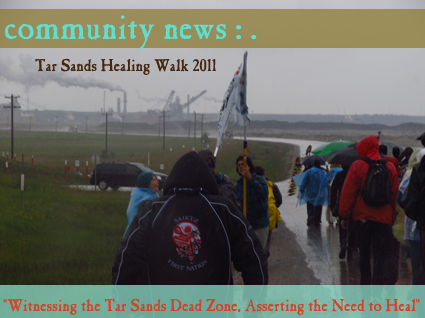 Beginning in 1991, February 14, 2010 will mark the nineteenth annual Vancouver memorial march. February 14, 2010 will also highlight day three of the 2010 Olympic winter games. 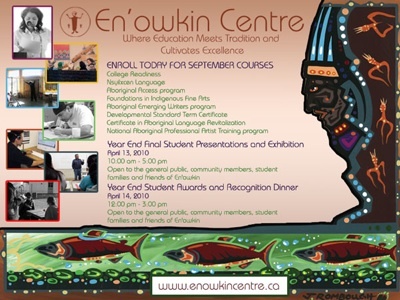 The Downtown Eastside Centre for The Arts is calling on downtown eastside artists to create a graphic for the 1st Annual NightHawk Aboriginal Arts & Music Festival. The winning graphic will be the signature logo for the NightHawk Aboriginal Art & Music Festival which will take place March 21, 2010 in Crab Park. 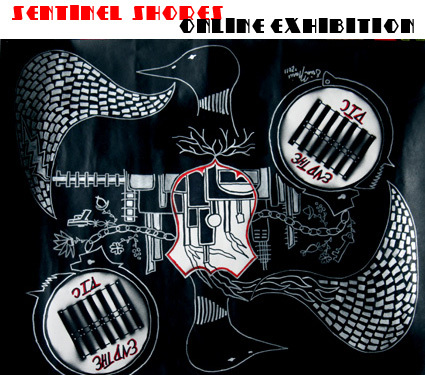 Deadline for submissions is January 31, 2010. Under the B.C. Treaty Process, the Yale Indian Band has negotiated a treaty for both lands and resources in the Fraser Canyon. 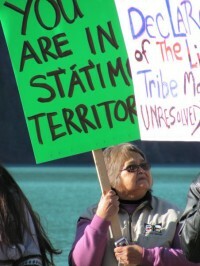 The negotiations for the treaty largely took place behind closed doors, leaving other Stó:lō First Nations who enjoy both aboriginal title and fishing rights in the Fraser Canyon to speculate about how a treaty with the Yale Indian Band will affect their rights. The time for guesswork is now over and the picture that has emerged from the treaty talks with the Yale Indian Band is both disturbing and deplorable. How did you get involved in the first place? I come from very radical roots. My mother and father were involved in the Red Power movement in the 60’s and 70’s. I know it can be cliché to say that you are born into the movement, but I can say I was. 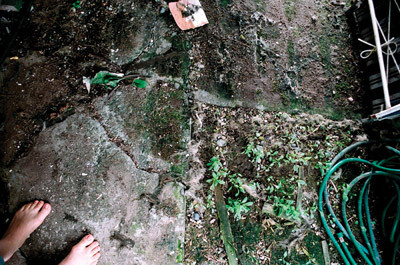 It was only natural for me to follow in my parents footsteps, which I did quite vigorously. 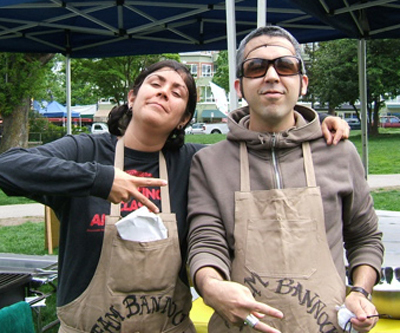 I was one of the founding members of the Vancouver Native Youth Movement and I am very proud to say so. During my time with Van NYM we occupied govt. 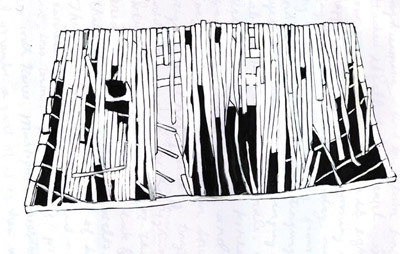 buildings and disrupted B.C. treaty meetings, it brought a smile to my face listening to a quote from Ujal Dosanj years later claiming that the reason why the B.C. 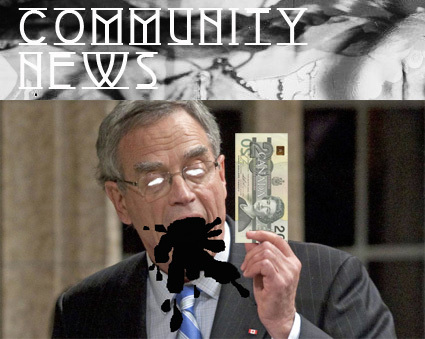 treaty process fell apart was because of Van NYM. I was arrested three times and I went to provincial court twice and Supreme Court once. I have to admit that shook me up a little bit, so after that the question I posed to myself was if I wanted to do my work in prison or outside? Are there any stories that stick out that have really impacted you? When people talked about their cousin getting the magazine and being really moved and touched by it in the same way I was when I found Redwire. In this one story her cousin was feeling suicidal, not feeling like she had a place and when she saw Redwire she was really excited about it. That kind of story really sticks with me. What would you say you learnt about yourself and your own strengths? I was 24 when I started there. I grew up on and off reserve. So I was connected but disconnected from home and any other community. So I learned a lot about who I was, through hearing other people’s stories. It made me stronger in who I am. Being mixed blood. Having lived in the city and moving back and forth to reserve. Maybe not feeling totally at home in either of those places. That’s where I am coming from and as long as I am humble and able to honour people’s words then it’s not that important. 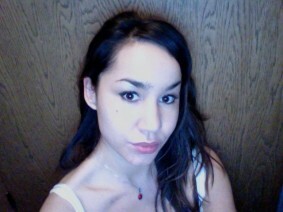 My name is Lacy Morin-Desjarlais and I am originally from Regina, Saskatchewan but now live in Burnaby, BC. 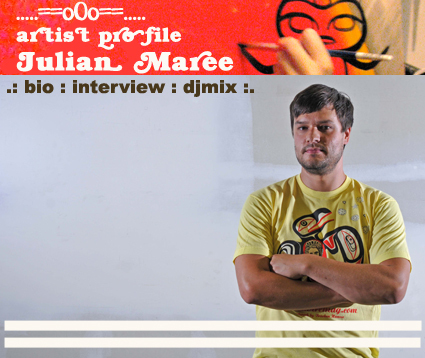 I am Saulteaux/Metis and I am also an artist. When I lived in Regina, I went into foster care when I was 10 years old and lived in a foster home for two years. During that time I was really sad and went through some hard things but what helped me out was a program for intercity youth called the Street Culture Project. 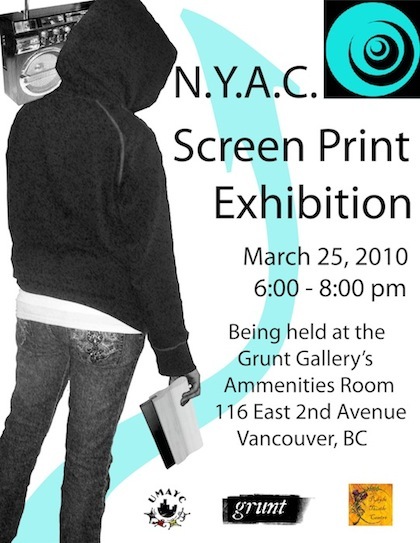 With the project I went to an art gallery for the first time, the MacKenzie Art Gallery and created art once a week in the art studio. It was really amazing for me at the time and that’s when I think I realized my passion for the arts. I always dreamed of having my own show at the MacKenzie Art Gallery! I have so much respect for how the Gallery has contributed towards the community in Regina, especially the aboriginal community and surrounding aboriginal communities.